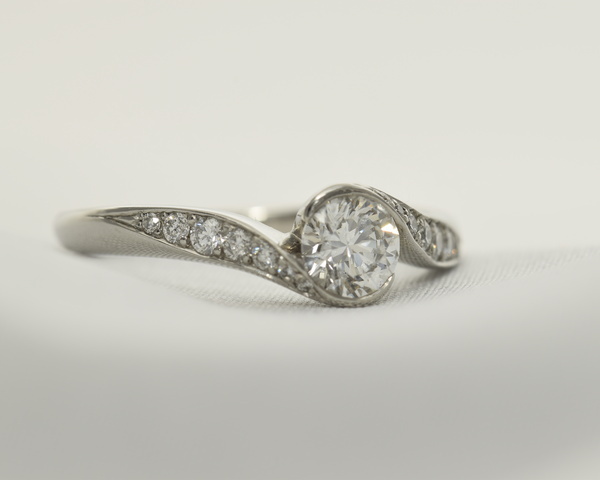 We enjoy playing with the ‘crossover’ form as it is a design so wonderfully versatile and adaptable to your wishes and desires. 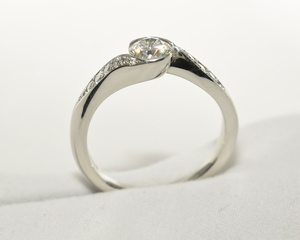 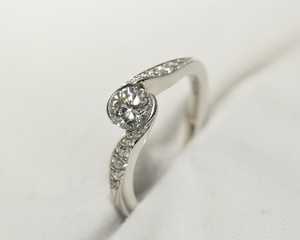 Here additional shoulder stones accentuate the curves and waves of the ring adding sparkle and light. These dynamic flowing lines and the illusion of movement is what make this Platinum and Diamond engagement ring so distinct and full of character.